“Spots, stripes or flowers? I can’t decide...” So Jelly Belle Poppy wears them all! What a quirky, cute girl with her dotty neckerchief and soft dolly shoes. 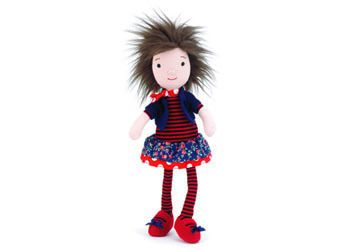 Help Poppy style her hair - she’s got true style flair!